Tarbes received a wake-up call after only 12 seconds as Deonna Davis put the first points on the boards for the guests. It took a little over a minute for Tarbes to register their first points which came courtesy of a three-pointer by Kristen Mann. Liz Moeggenberg was dominating the boards early on with 2 offensive and 2 defensive rebounds and also scored with her first shot. Gisela Vega completed the 7-0 run (7-2). The Zeljeznicar’s staff used a time-out and then scored 5 quick points to level the game. Tarbes slowed down the pace of the game as they changed their offence. The result was a trey for Moeggenberg and a bucket for Clémence Beikes. The guests, needing to make up 22 points from the first leg, had no option but to attack and scored 8 unanswered points. Isabelle Yacoubou, who made her entry during the guests’ blitz, ended their run to register her points of the season. Davis finished the scoring in the first period with a trey as Zeljeznicar tied the game (18-18). Tarbes quickly made up their deficit and with Moegenberg on fire regained the advantage (30-28). Davis and Milena Vukicevic kept the guests in the game as both sides traded basket for basket for the rest of the period. Zeljeznicar held on (40-39) when both teams headed to the locker room. Davis took just 12 seconds to get going in the third period as she knocked down a trey. 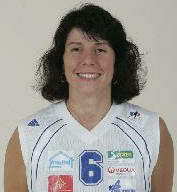 Tarbes did not take long to react and went back in front briefly with a three-pointer by Laure Savasta. The lead changed hands on each of the next four plays with Tarbes breaking the sequence by also scoring back-to back to take the lead for good (50-47). Zeljeznicar’s head coach called for a time-out in an attempt to disrupt Tarbes. Initially it appeared to work as Tijana Rus scored. The relief was short-lived as the hosts went on a 7-0 run before Sasa Cado connected with a shot from the land of many (57-52). With Davis being the only threat, Tarbes were able to control the fourth quarter. This gave François Gomez the opportunity to play Carole LeClaire and Alex Kusion. Tarbes went on to win (82-70) with Moggenberg leading the scoring with a 19 points and 9 rebounds and Vega followed with a double-double 16 points and 10 rebounds. No joy for the other three clubs from the Ligue Féminine de Basketball as they all failed to qualify for the eighth final. Lattes Montpellier started the game well but fell behind during the third period (51-44) to Panionios. In a hectic final period Montpellier tied the game (64-64) with just under two minutes left to play. 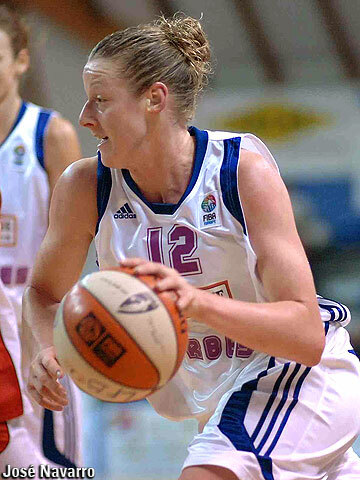 Despite the efforts of Gunta Basko, (in picture) the ball refused to drop for Montpellier allowing Panionios to win the game (66-64) and qualify for the next round with an aggregate win (133-126). Challes-les-Eaux lost their advantage from the first leg against Nadezhda during the first period as they trailed (17-32). Nadezhda went into the final quarter with a 29-point lead and went on to win the game (79-61) and the tie (141-136). Aix-en-Provence beat Galatasary in a tight game (60-57) but lost the tie (122-112). Dynamo Kursk, number one seed were surprisingly eliminated by Turkish Botas Spor . This result leave only Italian side Umana Reyer as the only undefeated side in this seasons competition. Pictures courtesy of FIBA Europe and Ligue Féminine de Basketball.